We offer our customers with a vast assortment of induction heaters that are exclusively designed to for the functions of mounting and dismounting the roller bearings, pinions, gears or other component fitted on axle shaft of machine or motors. The presence of latest technology intelligent microcontroller based electronic controls enables in performing these functions in a simple and effective manner. Moreover, the automated roll sliding arrangement and remote control facility provides with improved flexibility for utilizing the equipment. Our range of induction heaters comprises industrial induction heaters, commercial induction heater, portable induction heaters, electric induction heater, conventional induction heater, electric heaters and induction bearing heater. Our clients can avail from us a range of conventional Induction Heater (Model PIH 2004) that has heavy capacity to heat the components and is equipped with the latest technology micro controller based electronic control. This assortment of conventional induction heater model PIH 2004 is equipped with manual or automated roll-sliding arrangement for the standard yoke 105 x 105 x 620 mm. 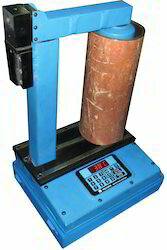 Our clients can avail from us a range of conventional Induction Heater (Model PIH 2004) that has heavy capacity to heat the components and is equipped with the latest technology micro controller based electronic control. 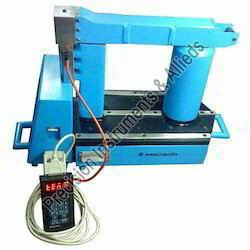 This assortment of conventional induction heater model PIH 2004 is equipped with manual or automated roll-sliding arrangement for the standard yoke 110 x 110 x 620 mm. 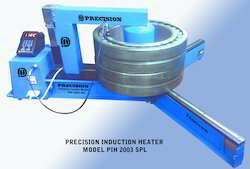 Precision induction heater is available as Model PIH 2004. We offer a gamut of Induction Tyre Heater (Model PIH 2005) that has the highest capacity to heat the components and have intelligent micro controller based electronic controls with data logger that can upload all the data month wise. This also result in additional safety, ease of operation and helps to improve productivity. Swing arm / roll sliding arrangement. Heating job of 300 kg. 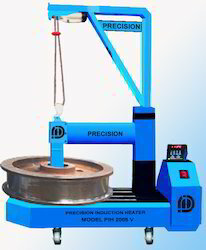 PRECISION Induction Heater - Series PIH SPL - is designed to heat the Bearings and other shrink-fit components prior to mounting using latest technology intelligent microcontroller based electronic controls. The life of Bearings and other torque transmitting steel components, which are shrunk-fit on shaft, may get cut short due to rough handling and faulty installation or mounting methods. This can be avoided by expanding them by induction heating for the purpose of mounting of the component. Precision Induction Heaters - Series PIH SPL - are available in 5 different models for mounting, range of bearings having bore size from 14 mm and above. 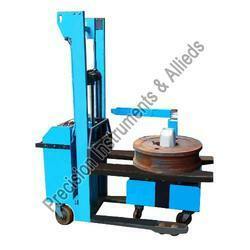 Fast, safe and economical heating of bearings is best features of PIH SPL Induction heaters. PIH series is light weight and portable for better performance. It has power capacity of 3.5 / 4.6 KVA. The controls are intelligent microcontroller based programmable electronic controls. It has two operating modes, Temperature mode and Time mode. Both are controlled through feather touch key Board. Both modes can be seen at the time of operation. 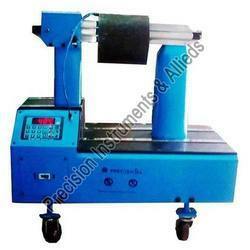 It can also be used to heat bearings of larger diameter. The unit can also be used to heat a plate of any magnetic material by placing the plate in place of the horizontal yoke across the vertical supports. 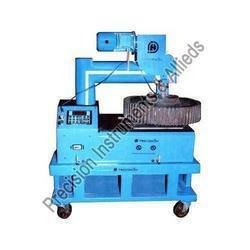 We are the leading manufacturers and supplier of Induction Heater Model PIH 2003 SPLin Mumbai Maharashtra,India.